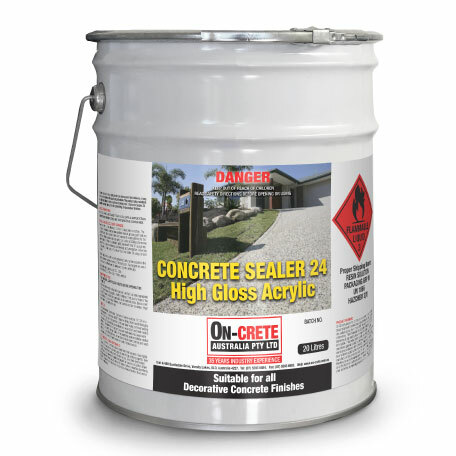 Why use Concrete Sealer 24 High Gloss? SV24 is a general purpose solvent based sealer of medium viscosity and solids. It gives a clear film with a medium to a high gloss and is most commonly used to seal spray on concrete coatings (Overcrete), Stencil & Stamped concrete.